King of Israel in succession to his father (736-735 B.C. ), according to P. Rost in Schrader, "K. A. T." 3d ed., i. 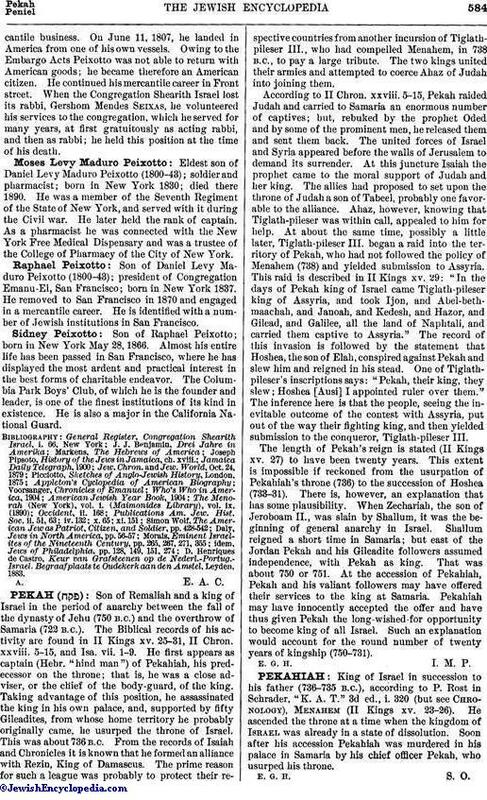 320 (but see Chronology), Menahem (II Kings xv. 23-26). He ascended the throne at a time when the kingdom of Israel was already in a state of dissolution. Soon after his accession Pekahiah was murdered in his palace in Samaria by his chief officer Pekah, who usurped his throne.